An appositive often adds additional information about a noun in a sentence. 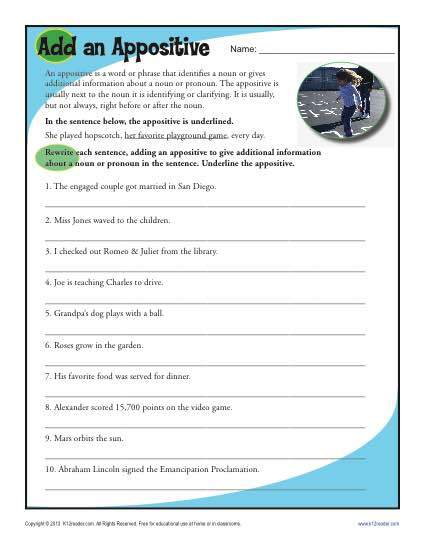 In this worksheet your student will use her creative writing skills to add an appositive to a sentence. Not only will she learn about appositives, she’ll use her imagination, too!